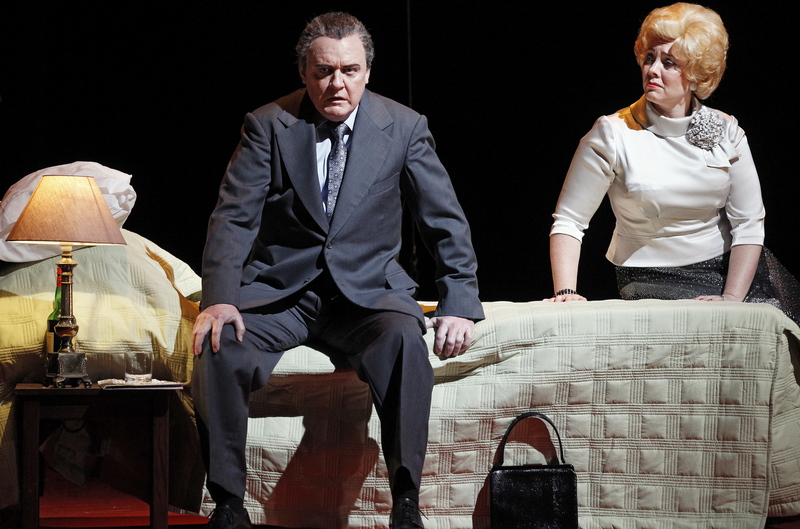 Gilbert Deflo’s production of Verdi favourite Rigoletto raises the piece to the grandest operatic scale. Thankfully, the singers are easily as spectacular as the soaring scenery. 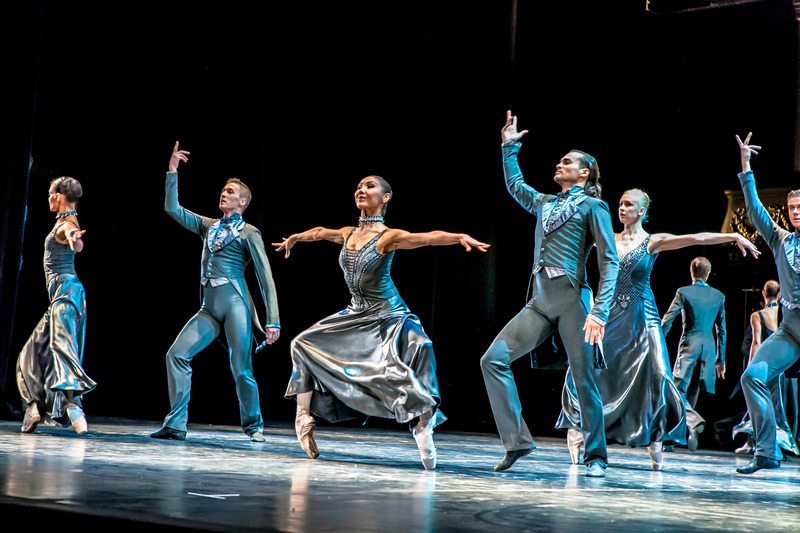 Even for a matinee, the dress code for La Scala patrons are the suits and sparkles of evening wear. Being presented this well, however, doesn’t stop grown adults taking photos on their iPhones during the performance like teens at a rock concert. To a degree, the sense of a rock concert is almost justified, given the swaggering confidence of star tenor Vittorio Grigolo. 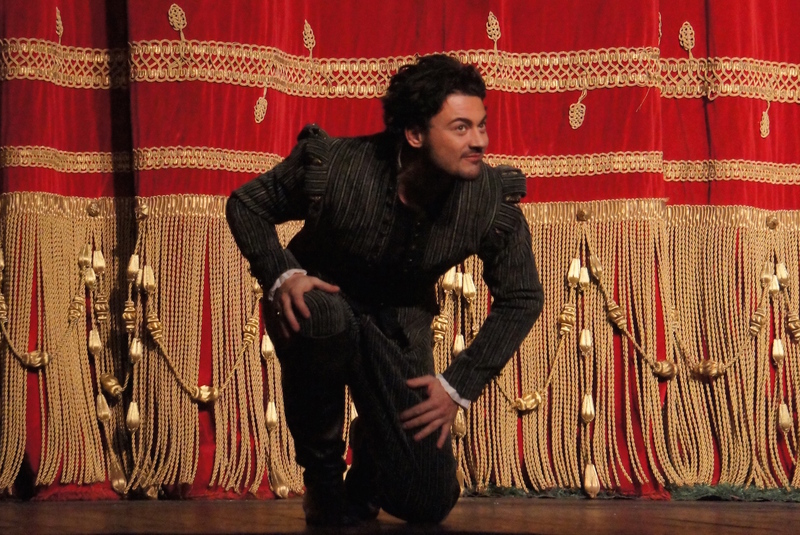 In a perfect match of role and singer, Grigolo has charisma and confidence to spare as the sexually scheming Duke of Mantua. 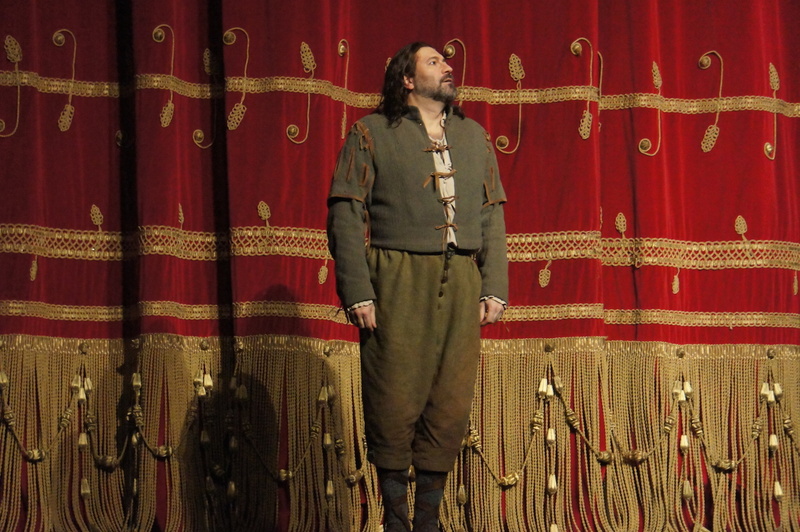 From the moment he steps on stage, Grigolo is comfortably at home, lapping up the admiration and attention of the capacity audience like a recital soloist. Which, however, is not to say that he is not a strong actor and a great team player. 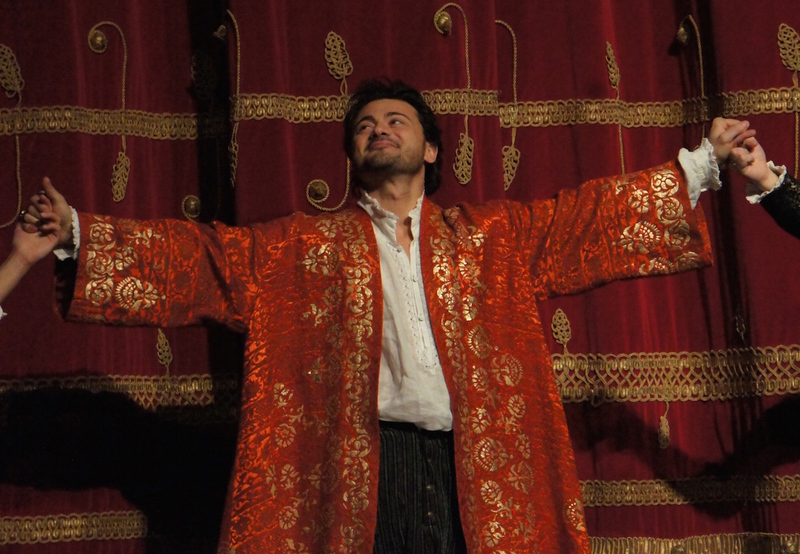 Swirling his cape like a super hero and holding court like a warrior, Grigolo effortlessly nails the light popular hits “Quest o quella” and “La donna e mobile” and also brings great sensitivity of expression to his dramatic arias “Ella mi fu rapita” and “Parmi veder le lagrime” at the start of act two. As Rigoletto’s beloved daughter Gilda, the only word to describe the singing of American soprano Nadine Sierra is divine. With exquisite purity of tone, immaculate control, sensitive phrasing and stunning high notes, Sierra’s performance was a revelation. As an added bonus, Sierra is a doe-eyed, elegant beauty, and her portrayal of the ill-fated young Gilda won the hearts of all in attendance. 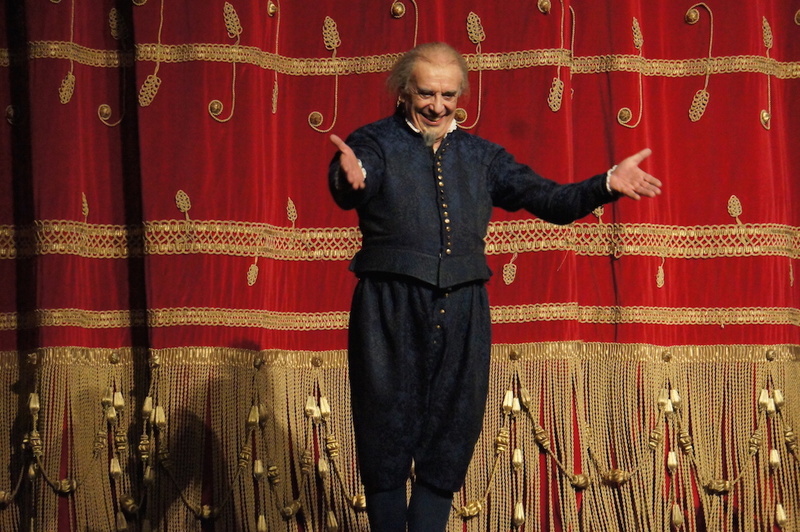 His vocal power and stage energy unaffected by the passing years, Leo Nucci delivers an electric performance of his signature role. 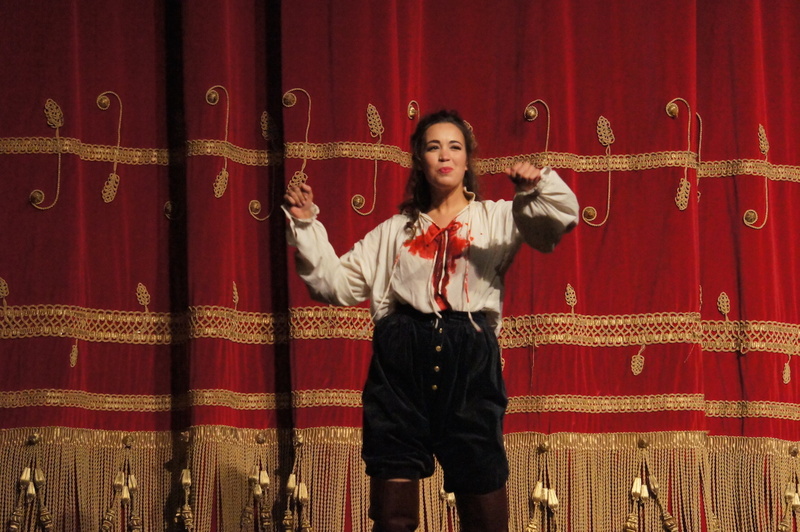 Conveying Rigoletto’s bewilderment and blind fury, Nucci gains sympathy and affection. 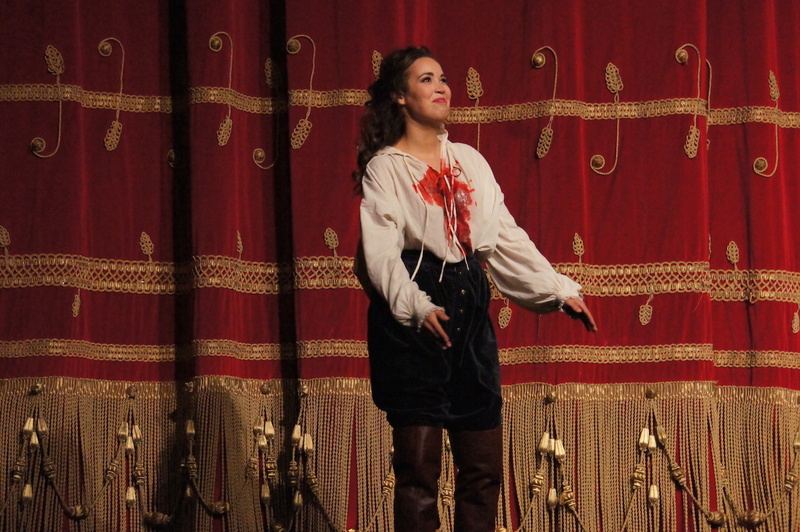 In superb voice, Nucci earns a roaring ovation with sympathetic aria “Cortigiani, vil razza dannata” as the pitiful hunchback tells the court that the woman they have abducted is his daughter. 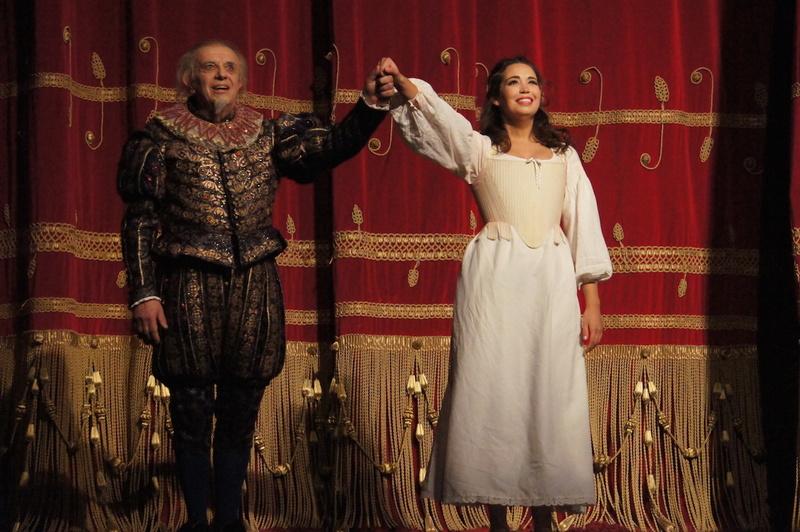 As with the prima on 14 January, Nucci and Sierra bowed to demand and sang an encore of their Cabaletta at the end of act two, earning a mid-opera standing ovation. 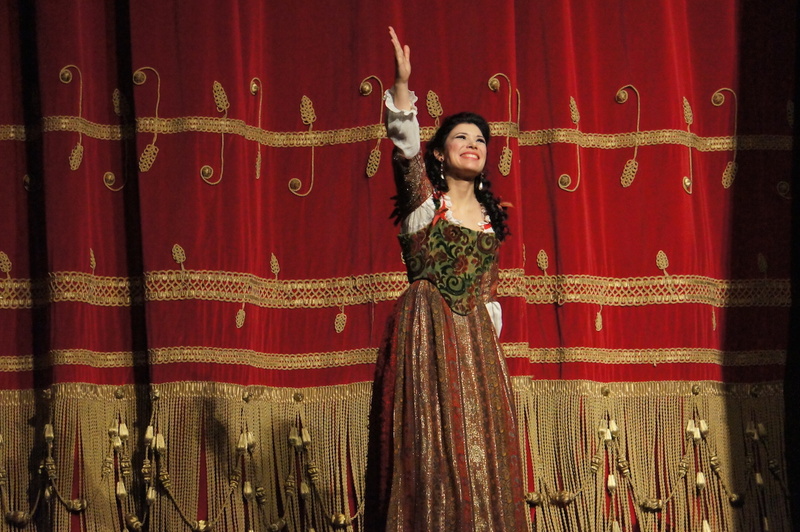 This is reportedly the first time a Verdi encore has been permitted at La Scala in 27 years. A traditional production at its core, designer Ezio Frigerio nonetheless stages the opera on a truly epic scale. In a highly theatrical touch, the setting is a grand proscenium arch within the already grander than grand proscenium arch of the opera house. At curtain’s rise, dancers, musicians and ladies and gentlemen of court cavort before towering, decoratively carved gold walls with turquoise inlay. Franca Squarciapino contributes to the spectacle with plenty of heightened details for his period costumes. Rigoletto’s home lies downstage before a truly majestic city street, the height of which aids the visibility of the Duke and men as they stalk the hidden residence. A further highlight of the design is the Duke’s palace, which features a massive wall of red and yellow stained glass windows. Sparafucile’s makeshift dwelling lies before a great abandoned warehouse. Lighting designer Marco Filibeck fills this space with ominous lightning for the storm, which is also accompanied by torrents of real rain. Carlo Colombara adds heft to assassin Sparafucile’s threatening presence with a rumbling bass. Giovanni Furlanetto is somewhat outclassed as Monterone, his baritone not having the command required to make the curse sound sufficiently threatening. 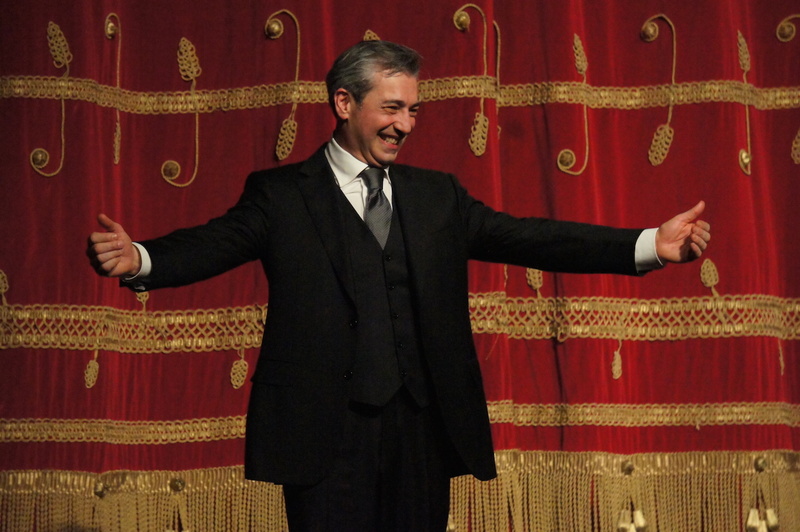 Musicians of the Orchestra del Teatro alla Scala have Verdi’s music in their DNA. Under the nimble baton of Maestro Nicola Luisotti (below), the music sounds like the soundtrack to a Hollywood thriller. 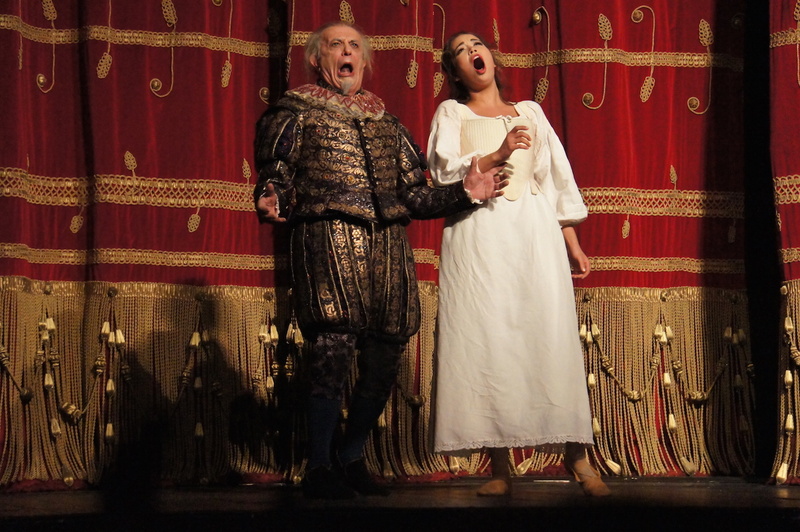 A production of this scale and singers of this quality are the very reason patrons flock to La Scala. 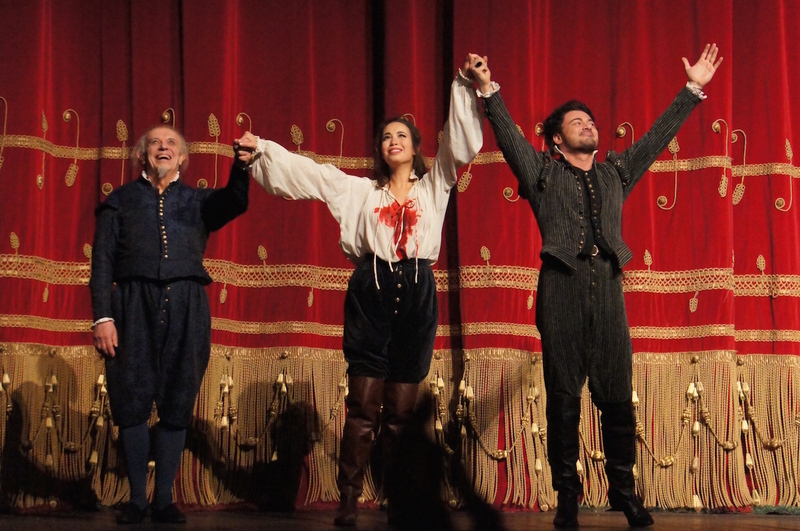 Rigoletto plays selected dates at Teatro alla Scala, Milan until 6 February 2016. 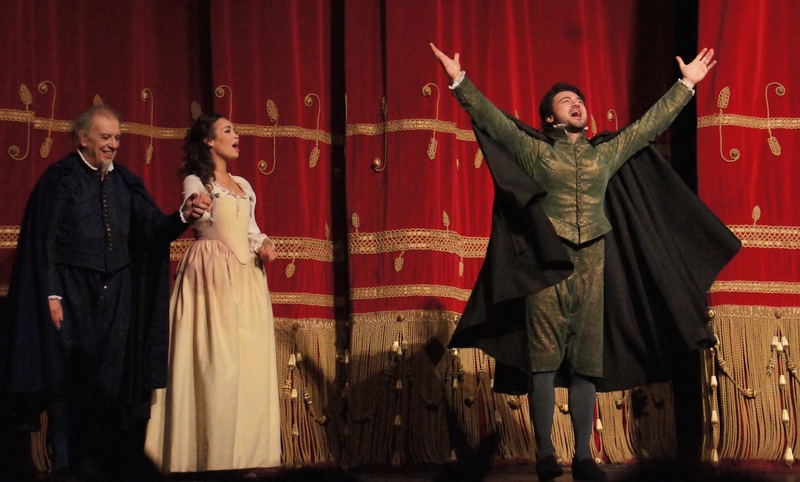 Rigoletto was reviewed 3pm Sunday 17 January 2016.